If you're not paying for it, you’re the product is one current adage that describes the state of an ad-driven internet. The value of your product to Google is defined by your ability to deliver a relevant and engaging UX to your viewers. Advertising at its best is the fuel that keeps the internet running; at its worst, it’s a cacophonous nuisance that can diffuse your site’s message. A Nielson study on consumer trust in advertising reveals that ads can indeed still be very effective, but vary widely by medium, especially as technologies advance and customers become more savvy. Remember pop-ups? Pop-ups were actually once looked at a valuable solution to separate ads from content and maintain a positive UX, but their abuse led to them becoming one of the least trusted mediums out there. The creator of the pop-up even regrets his own invention. As a consequence of changing visitor tastes things, search engine companies respond by updating their algorithm, even penalizing sites that use things like pop-ups. 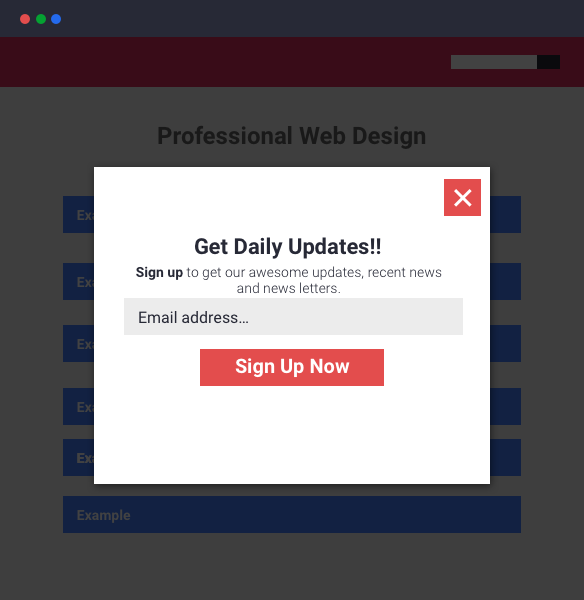 And now some types of interstitials, are becoming the new pop-up. Interstitials are overlaid ads or content where users must take some action before accessing the page’s main content. On January 10, 2017. Google announced that it will begin penalizing sites with intrusive interstitials. Google gives exemptions to sites where interstitials are used for legal matters, such as consent to install cookies and validate a visitor’s age, as well as sites where interstitials do not meet the criteria for intrusiveness. An experienced company like Bravo Web can assess your existing interstitials, editing them to avoid penalization. As a full web development company, we can also build interstitials correctly to meet search engine preferences. Contact Us to have Bravo Web review or build your site today!